Designs includes Snowman, Christmas Tree with Ornaments,snowflake,stockings and Christmas crutch. 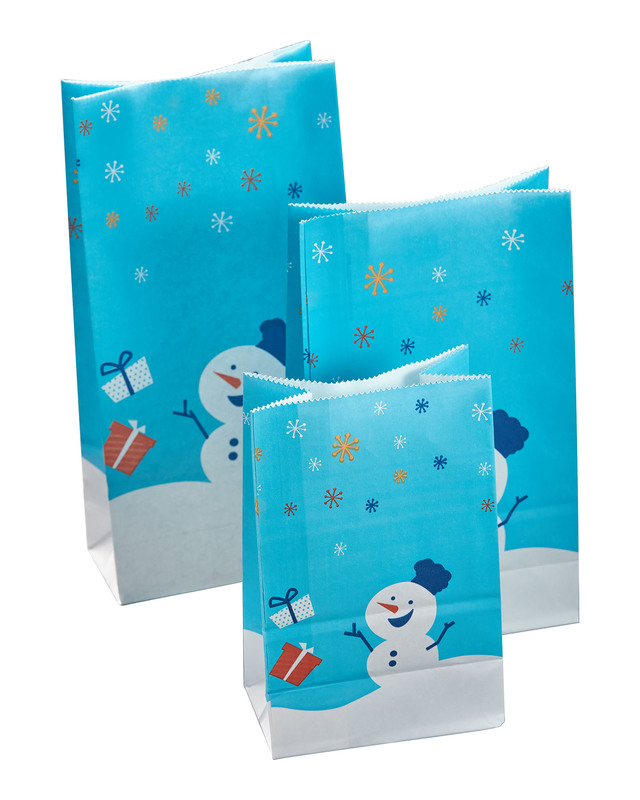 2.Super Value Pack for Festive Holiday Party Favor Bags. Perfect for Christmas Decoration, Christmas Gift Wrapping Decoration, Holiday Gift Extra-Special, Decorating Parties, Classrooms, Party Favors, Christmas Craft Bags and more. 3. pack of 24 pcs and 3 different size with square bottom. 8 pcs H 235*W 120*G 60 mm , 8 pcs H 200*W 120 * G 60 mm & 8 pcs H 150 * W 100 mm * G 60 mm.You can also put a sweet cake in it because the ink and raw material are all food-standard. Looking for ideal Paper Bag for Food Manufacturer & supplier ? We have a wide selection at great prices to help you get creative. 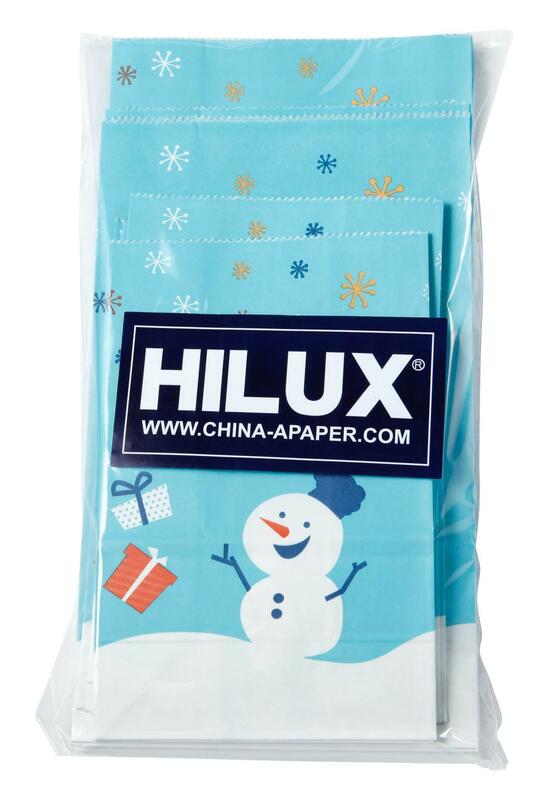 All the Biscuit Paper Bag with Printing Snowman are quality guaranteed. We are China Origin Factory of Three Sizes Paper Bag Food Standard. If you have any question, please feel free to contact us.